Nothing is more iconic for the Fall Season than a Wichita Hay Ride - these fun filled rides through farmland often stir up nostalgia, and memories of Halloweens past. 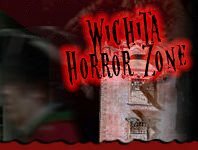 Many local farms and 2019 Wichita Halloween attractions offer family-friendly hay rides, as well as haunted hay rides in the evening, for the braver thrill seekers. This beloved past time has been enjoyed for generations during the Harvest Season, and it is still a tradition that friends and family can enjoy each Autumn.